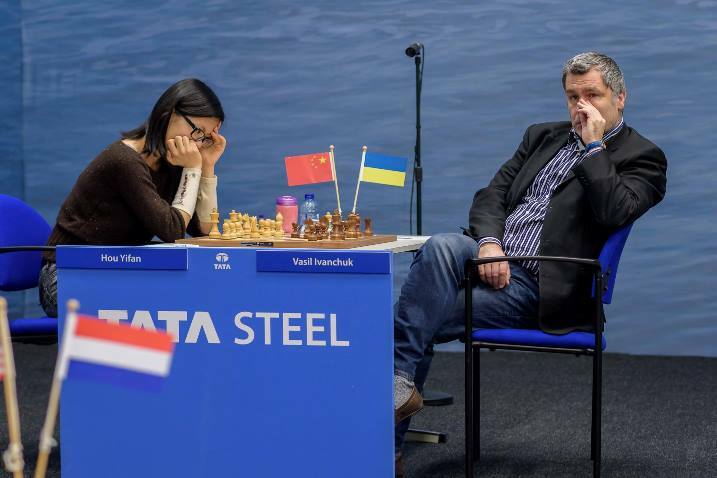 Vassily Ivanchuk lost only one game in Wijk aan Zee, and in an interview afterwards mentioned it might have been because he failed to read enough Philippine folk-tales to understand his opponent, Wesley So. That's the kind of eccentricity for which we love Vassily, but is he, as so many claim, a genius? Does it matter that he's never been World Champion, rated no. 1 or dominated the chess world? Vlad Tkachiev examines the evidence for and against 'Chucky' as genius, and asks us to vote... after taking a read! The following article originally appeared in Russian at ChEsSay. December 2013, Switzerland, the small town of Wohlen not far from Zurich, 13:02 local time. In the canteen of the local old people’s clinic twenty or so patients are wearily watching us – a group of three people arrived from Moscow. Somehow you just don’t want to believe that Viktor Lvovich Korchnoi is living here now, which may explain the roundabout route we end up taking. Finally, a door on one of the upper floors opens: “Where on earth have you been – I’ve been waiting for you for a whole hour!” All’s well - “Viktor the Terrible” is still in a fighting mood after his stroke. A wooden board is set up right there in the hallway with the position from the Carlsen-Ivanchuk game in London. Welcome to the museum of parallel chess history, where the main heroes are those who didn’t become World Champions – Keres, Bronstein, the owner of the flat himself. And, of course, Vassily Ivanchuk. Incidentally, he won that game. And then another – against Vladimir Kramnik, thereby determining the name of the current holder of the chess crown. That no longer made any difference to Ivanchuk’s personal fate, though, since by that point he’d already utterly failed in the tournament. Just as he has in almost all the official World Championship competitions in which he’s taken part – except in 2001. 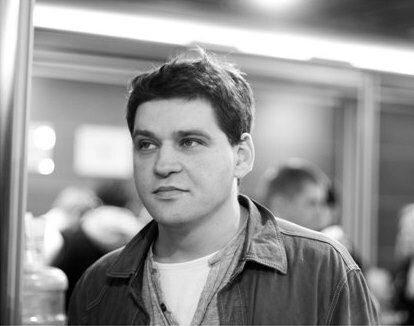 While collecting material for this article I was incredibly surprised to discover that Vassily doesn’t have so many official titles: the 2004 European Champion, a 4-time Olympiad Champion – twice with the USSR team and twice leading Ukraine. 1st place in the 2001 World Team Championship, 2007 World Blitz Champion. And that’s all! At the same time, Ivanchuk is the winner of a multitude of events of different kinds and levels, including the chess Wimbledon – Linares, three (!) times. But that’s not the main thing. He’s a genius. Acknowledged. In his own lifetime. That’s the point where I want to delve deeper. The chess public isn’t particularly prone to devalue that unofficial title, and the whole history of geniuses can be counted on the fingers of one hand: Morphy, Capablanca, Alekhine, Fischer, Kasparov. For some a few more, for some less, but those names would be common to any survey. Note: all of them, including Morphy, were the strongest players of their time – Champions. And then there’s Vassily Ivanchuk. For a short period of time he was the world’s second best chess player, but no more. Nevertheless, he’s been a genius in the eyes of the majority of people since he was something like 16. Will wonders never cease! But what if we question the commonly accepted cliché and try to formulate an objective verdict? Let’s give it a go! SensibleHare: >> lol…everyone likes Chucky!! BullDogDavery: >> Chucky vs the Comps!!! I deliberately put the most important comments for understanding the phenomenon of such popularity at the end. So then, Chucky is perceived as a ‘People’s Champion’ and he leads the battle of the human race against the computer invasion. He’s human and cool, but prone to eccentricities – during a game he loves to pick that source of countless ideas – his nose. It’s clear to everyone that’s the organ responsible for the superpowers of Chucky-Superman – a still-to-be-released comic book with uncertain prospects of film adaptation. Ivanchuk has a style of play unlike anyone else’s and an exceptionally wide opening repertoire. He’s capable of seeing things hidden from the eyes of the majority. The creative clearly dominates over the sporting element in his play. Vassily lives chess and generates not individual moves but whole ideas – wherever he finds himself. 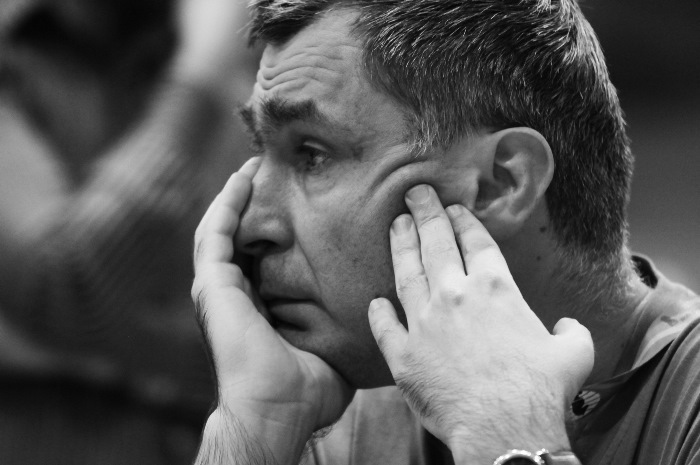 A phenomenal memory combined with fanatical love provides the basis for Ivanchuk’s colossal erudition. Garry Kimovich feared no-one the way he did this player, to such an extent that even his name was only whispered around Kasparov. Ivanchuk, meanwhile, has a childlike directness, something that was caught well by John Turturro in the film ‘The Luzhin Defence’. 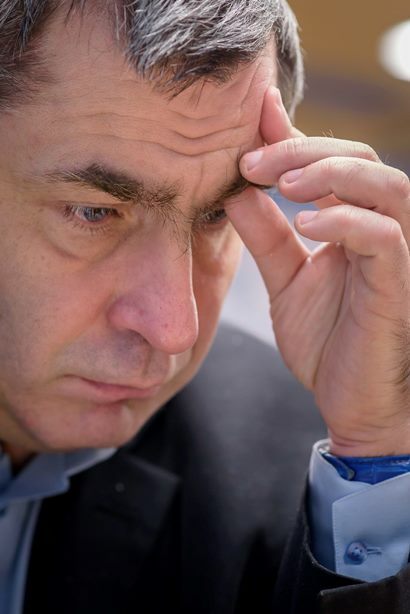 The only thing that determines Vassily’s strength at any particular moment is his condition, and there’s no chess player stronger than an in-form Ivanchuk. 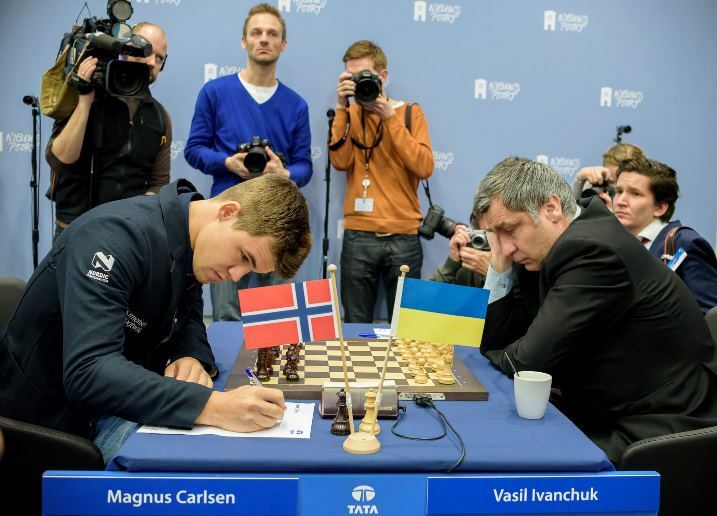 “Talent hits a target no-one else can hit; genius hits a target no-one else can see” – that’s not about Ivanchuk. He wasn’t ahead of his time and wasn’t able to overcome his contemporaries, although the ability he started out with truly was outstanding. It’s impossible, though, to compare his contribution to opening theory with the legacy of Kasparov, Kramnik or Anand. At times Vassily, exploiting the image created, allows himself things that aren’t entirely correct, for example, at fast time controls. And, in general, the role of scattered genius is somewhat feigned. That makes it easier for him to hide his true “I”. As you can see, the advocates of Ivanchuk’s genius are somewhat more eloquent and talkative which, in general, is understandable. I haven’t specified the view of each of those I asked and I’d warn you against attempting to guess who voted how – believe me, it’s impossible! On a few occasions it was amazing to what degree normal linear logic fails to operate here. At the same time he has a lot, an awful lot, of his own novelties, but it’s striking how few of them have turned into fully-fledged opening trends. Chucky’s famous bursts of fantasy could be the topic for a separate article. I selected these examples with particular pleasure. I hope some of them will surprise you. Among the unusual elements of his game I noticed a tendency to play with a rook and minor piece against a queen. You get the impression that it’s a material balance that excites Vassily as a special form of art. His endgame technique is just impossible to praise enough – his knowledge of theoretical positions and typical schemes is off the scale. Plus, when his opponent has no clearly defined counterplay that traditionally makes Ivanchuk even stronger. Vassily Ivanchuk began to play chess at the age of 10 and won the USSR Junior Championship as a 15-year-old. An impressive fact – the youngster memorised all 48 games of the first Karpov-Kasparov match by heart. 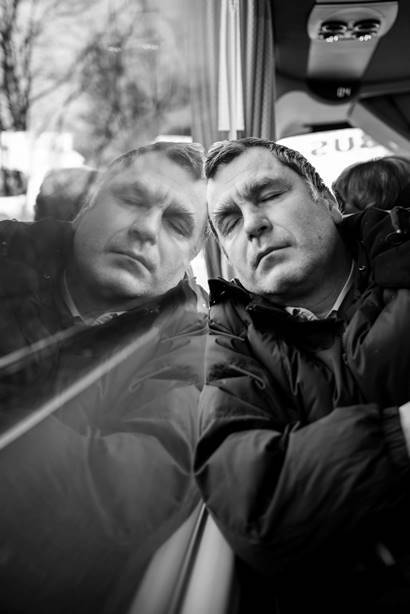 A passion for training and an undeniably outstanding memory stayed with him over the years: Ivanchuk speaks four foreign languages – English, Spanish, Turkish and Polish, has memorised the squares of the numbers from 1 to 30 and knows many songs and poems by heart. His greatest achievement on the world rating list: 2nd in 1991 and 2007. That coincides with the two times he got married. By his own admission he found a large number of original ideas in church, during services. For New Year 2009 he proposed a new game with the chess pieces called “Kiss the queen” on ChessPro. He takes a serious interest in checkers, plays at the strength of a Candidate Master and took part in the Lviv Championship. He has a passion for roulette in the casino – with positive results. He prefers to watch sports that involve a personal confrontation: tennis and boxing. He usually studies chess without the help of a computer, either blind or using a big chessboard and pieces. In Linares 2009 he offered a draw to Dominguez on move 47 in a winning position, since he considered his behaviour in mutual time trouble inappropriate (the offer was accepted). In fact, Lambroso identified several more characteristic traits that are typical of mentally unstable geniuses, but you can find those yourself if interested. For me – on the basis of my personal observations – the system he proposes seems quite relevant. …Chess is now simply killing me. It’s playing against me! It’s destroying me! I was very upset after the loss, but I’m absolutely not planning on quitting chess…! I can call myself one of the world’s strongest chess players. Comparing myself to the great chess players of the past isn’t, in my view, entirely appropriate, since those people already achieved a lot, while I hope I’ll still manage to achieve a lot. As for the concept of “genius”, that’s a question of taste. Tal was called a genius but, for instance, no-one called Botvinnik a genius. Or Lasker, who was World Champion for 27 years, also wasn’t called a genius. You can argue about genius, and no clear criteria for it exist. …before the game against Ponomariov I had the following dream. I was going to play a match against Milov, and the winner would qualify to play Carlsen. And I prepared for Milov and told my second: “You have to get the latest ‘Informator’, because he often comments on games there, and he also plays in tournaments that might not make it into the database…” Then at breakfast I saw Milov and thought I absolutely had to look at Milov’s games. I don’t think the dream was a coincidence. No, I didn’t study maths at university – it’s simply a hobby. However, it sometimes draws me in so much that I can spend the whole night on it. I remember a case during a supertournament in 1996 in Las Palmas. I was interested in the question of what indicates that a number is divisible by seven? And how can you calculate it? Of course I realised mathematicians know the answer, but I wanted to get there on my own. And so I was sitting at night, thinking… One hour, two, three… The next day I had a game against Anatoly Karpov, but that was unimportant. And it was only at five in the morning that I suddenly grasped it: I understood all I needed. You can’t imagine what a pleasant feeling that is. Capablanca – definitely. Fischer – definitely. ‌Yes. – Vassily “confirmed” Alekhine. A mystery. I can’t give a clear yes or no. I don’t understand Tal. A big talent, but I wouldn’t be confident of calling him a genius. It’s not even obligatory to sit at a computer or a chessboard. I can also walk in the park and analyse some important position in my head. Moreover, it’s by no means certain that working using such a method will have any less effect than if I sit at a computer. It depends much more on getting into a mental state that allows you to discover new ideas. I still think I can become World Champion, but only on the condition that I look at that championship and the qualifying for it as normal tournaments – nothing special. Then I’ll be able to prepare. I know myself – if a tournament is very important, then that’s it, I can’t prepare for it – neither at the computer nor at the chessboard. When the tension drops a little then the desire to play chess returns and new ideas appear. Why is it like that? I don’t know. A very important aspect of Carlsen’s success is his resilience after defeats. Of course, like any chess player he prefers winning, but if something like that happens he quickly gets out of that “groggy” state, to use the boxing terminology. That doesn’t go so well for me. When I get interested in something, when I get drawn in – I do one thing and nothing else for hours on end. From Kasparov I learned, in moments of stress, to allow myself quickly to explode and then calm down just as quickly. They say that the concept of ‘genius’, in its current meaning, only arose in the 18th century. Well, that’s in the world of normal people, but in chess it was no doubt much sooner – I can’t imagine that Al-Suli or Greco were considered mere mortals. The title is unofficial, awarded by the public reluctantly and even harder to retain, though down the ages it’s valued above any kind of prizes won in a lifetime. 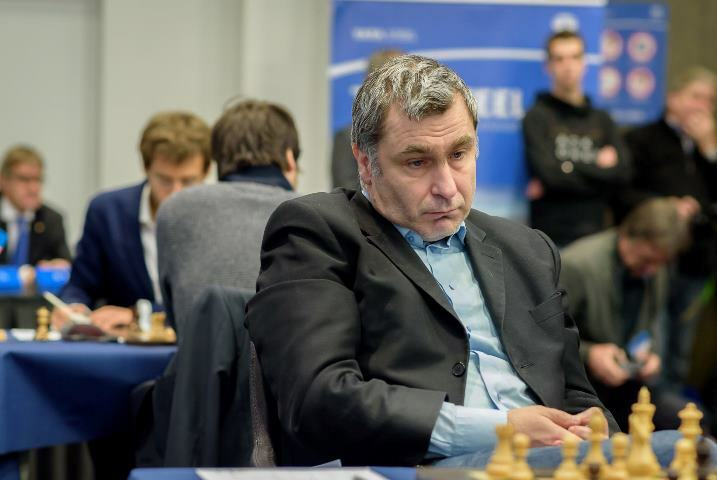 Should Vassily Mikhailovich Ivanchuk be honoured with this higher title or not – that’s for you to decide. So what do you think? Vote now! Is Vassily Ivanchuk a genius?